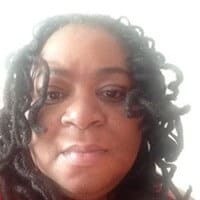 How Do You Know When It Is Time To Extubate? Have you ever had trouble breathing? It is a scary feeling. People who have asthma or COPD know all about this. In the majority of the time, the person just needs to calm down and take slow breaths. Often time, that is all that they need. How Do You Know When It is time to Extubate a Patient? Often times, the breathing problem does not get any better and continues to deteriorate. In that case, the person has to be intubated. What Can Cause a Patient to Be Intubated? What are the Risk Factors? What Does it Mean to Extubate A Patient? What Happens if a Patient Cant be Extubated? Airway protection is one of the basic elements of life support. When a person requires intubation, this means that the person is having critical breathing issues, and if the person is not intubated, they might die. 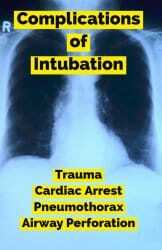 Intubation is normally done in the emergency room, or in the intensive care unit. Sometimes, 911 paramedics will have to intubate in the field. 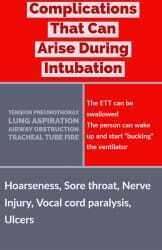 Intubation occurs when a health care professional inserts an ETT (endotracheal tube ), in the lungs via the mouth to out oxygen directly into the lungs via a ventilator. Intubation is a life-saving intervention. Endotracheal intubation is the process of intubating a person via the mouth. 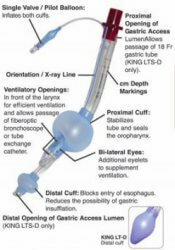 The endotracheal tube comes in different sizes. The smaller a person is, the smaller the endotracheal tube will be. Therefore, the health professional must make sure the size is appropriate for the person. The goal of every intubation is to give the person and the lungs a chance to rest and heal. However, this is not always the case. For example, sometimes there are complications of intubation. Complications usually occur in newborn infants, premature babies, children, and women because they have a small larynx. Extubating a patient is a positive outcome. The patient is certainly happy because let’s face it, intubation can be a traumatic experience. Although a patient is given sedation right before being intubated, the experience that occurs right before intubation can be traumatic. The clinical guidelines state that patients should have a spontaneous breathing trial prior to extubation. Prior to extubation, all sedation will be turned off. 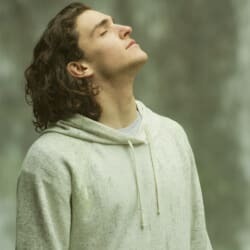 A spontaneous breathing trial is where the doctor will order the ventilator to be in the mode where basically the person is breathing on their own. The extubation assessment includes the person’s vital signs, his mental acuity, his ventilators parameters, his tidal volumes, etc. 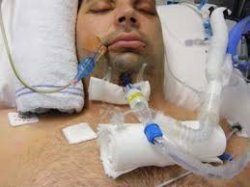 The spontaneous breathing trial can alert the practitioner if the patient will fail the extubation, or be successful with the extubation. Although there are several ways to intubate, the preferred method is endotracheal intubation. However, sometimes this method fails and other ways to intubate should be considered. For example, a patient can be intubated via the nose or a tracheostomy. The time of extubation is important. If the person’s blood pressure, heart rate, and respirations are not optimal the person might fail the extubation. The person must be able to have adequate oxygenation. Another significant event that can happen to patients who are intubated is ventilator-associated pneumonia. In fact, this pneumonia can be prevented the majority of the time with good mouth care. Unfortunately, sometimes a person cannot come off of the ventilator. If the person is intubated for more than 3 days, the doctor will start talking to the family member about a tracheotomy. This is because an endotracheal tube can only be in place for about 10 days because the endotracheal tube can cause esophageal erosion. Also, if the person has not shown any progress after being on the vent for 10 days, most likely they will need long-term airway management. These people will most likely have to be admitted to a chronic rehab facility. However, these people sometimes are able to completely get off of the vent, and go on and live a good quality life. Sometimes, the person is able to have their tracheostomy stoma completely healed up. Hopefully, you now have an understanding of the intubation and exbution process. So as you can see the intubation, and the extubation process requires complete and competent care. The majority of the time the extubation process goes quite smoothly.